Any professional who works alone in remote locations in all kinds of weather needs to take precautions to safeguard their well-being. Forestland brokers often face these challenges as we tramp through large forests alone in rural areas where cell service is commonly unavailable. To keep ourselves safe (especially during winter months) we let someone know where we are headed, provide an estimated time of return, and pack appropriate gear. Most of us in this line of work can recall several near misses, whether it was being lost, dealing with a broken-down snow machine or 4-wheeler, or a personal injury preventing safe return. As we’ve gotten older, we seem to take these safeguards more seriously as our sense of immortality feels ever more real. Here is a story that covers exploring a forest property, being prepared, and a rare weather phenomenon. In late November of 2017, I located the 1,635-acre property in a remote area of northern Vermont that I was to inspect in anticipation of listing it for sale. There ground was snow covered but the weather was unusually warm (43 degrees). I drove part of the way in on an internal road but got to a point where I decided not to drive any further fearing getting stuck on the steep snow-covered road. I parked where I could walk into the land, despite the longer distance to my inspection site. Moments after walking into the woods from the truck, I thought it would be best if I had more warm clothes. It was warm that morning, but my experience reminded me that, especially this time of the year, the weather can change quickly. I walked back to the truck and packed all my winter gear. I am glad I did. I walked about a mile to the west and towards a ridgeline. The snow-pack was nearly a foot deep, but it was warm. As I topped the ridgeline, I could see for miles to the west, which is the direction of the prevailing fronts in this region. What I saw were deep, dark skies and what appeared to be a serious weather front headed in my direction. The weather forecast hadn’t called for any storms, so I thought that this may be something that would quickly pass over the area. Without a shred of worry, I descended from the ridgeline and headed north into the property’s basin, a two-mile traverse. Nearly an hour from the ridge, the wind picked up considerably and then I heard thunder. At first, I did not associate it with the approaching storm thunder rarely occurs with storms when snow is on the ground. I thought for a moment that perhaps something happened further north on the ridge with the wind towers - did a wind tower fall? I then realized that a serious storm was about to occur; thunder became more frequent and then the snow began. The snow was very heavy creating white-out conditions and the thunder was relentless. I was in the middle of a Thundersnow, a very rare event that occurs mostly in late fall and winter. It is a weather event defined by the occurrence of thunder and lightning during a snowstorm. A thundersnow occurs when the air layer closer to the ground is warmer than the layers above but is still cold enough to create snow. Conditions need to be precise, and that morning’s unusually warm weather set the stage for such conditions. As the storm bore down on me, snow was swirling, the wind was hollowing and the temperature dropped significantly. Fortunately, I had my winter gear and was able to change clothing. Being warm and dry allowed me to safely enjoy this rare weather event, finish my site reconnaissance and return to my vehicle. The subject property (Eden Square Forest) will soon enter the market. Some of its sugar maple stands are among the best I have encountered. Exploring that remote basin, experiencing the thundersnow and my last-minute decision to bring winter gear are events I won’t forget. When you’re out exploring remote areas remember them as well and be prepared for changing and unexpected situations. 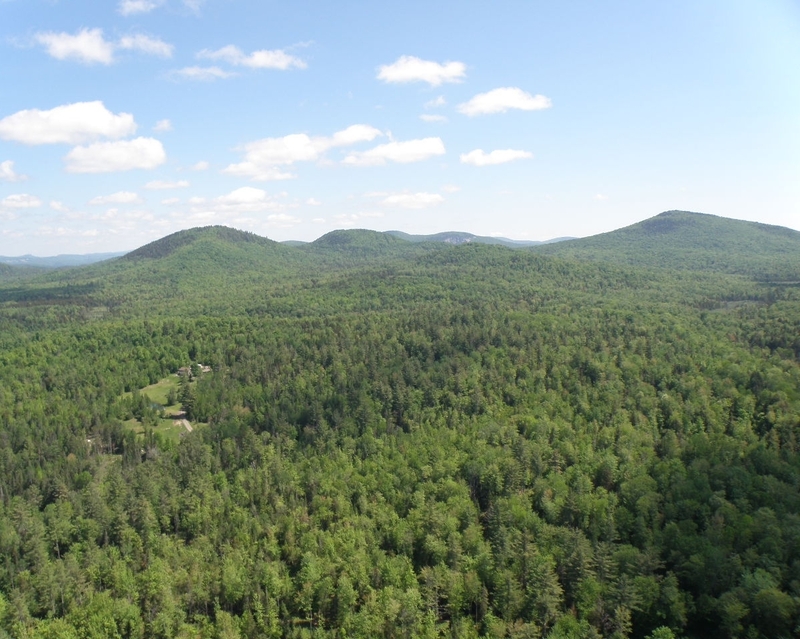 The author is a professional forester and timberland broker with Fountains Land who has served timberland owners and buyers in the northeast since 1989.